Freddy Pérez - Nursing Assistant - BECA. The BECA.org Foundation. Empowering Youth Education in Nicaragua. Hello guys from BECA.org! It’s a pleasure to share my story with you. First, I am grateful for those who take the time to read our success stories. 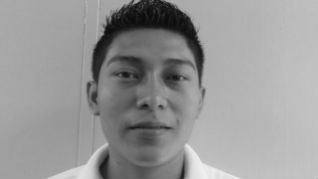 I’m Freddy Fernando Pérez López, I’m 26 years old, and I live in Masaya. I graduated as a Nursing Assistant from Polisal Jinotepe. I believe that we have to be grateful for the talents God gives us, and we have to take advantage of them until we consider ourselves satisfied. My inspiration for a health career has been strong. That's why my philosophy is to follow the passion for my career until the end, and I will not give up in spite of any obstacle I may encounter. I was so excited getting my certificate when I graduated because I realized my first goal: to be a professional in health. One thing my career has given me is that it helps people so this is my best reward. I do not consider being a Nursing Assistant a hard job because I have the passion for it. I say to myself: “enjoy the good moments of my job.” I think a technical career is important in our academic studies, and I know there are some people who disagree with it. However, I believe everything has a value in life, and if you want to get something you have to start from the bottom, not from the top. Finally, I would like to encourage all young people to not give up on their goals. Feel proud of yourself for what you have, and take advantage of the opportunities. Remember, God always hears our prayers, if you ask him with faith. All your efforts at the end has its reward. I’m so proud of myself because I have worked in different institutions like the Army Hospital (Dr. Alejandro Dávila Bolaños), and Salud Integral hospital in Managua. Currently, I work for MINSA (health inspector). I work in a public health center in the neighborhood of Monimbo, Masaya. My job has helped me to continue with my major in Nursing. Thanks BECA.org for everything. Without BECA.org’s help I could not have reached my goal. Thanks for helping me realizing my dream of becoming a health professional. Regards!.